It was with dismay that I read about the proposed plans by Lewisham Council to turn four branch libraries into ‘community led’ libraries. I am vehemently opposed to these plans and I believe that it is crucial that these continue to flourish as public libraries in our borough of Lewisham. I manage a public library in west London with a team of 11 staff and around 8 volunteers. We adore our volunteers, they support us in our activities and enhance our library service – this includes under 5’s singing sessions, homework clubs and our annual reading challenge for kids. However, they cannot be expected to run a library service. The council’s attitude to this is ‘well why not ask volunteers to run the libraries’. There are many good reasons why this is bad for the residents of Lewisham. Volunteers are transitory. I would say 3 out of my 8 volunteers have been with us for 3 years, which is really good going. But interspersed with that are their own lives which means they can suddenly announce that they are not going to be able to cover a session for us. They can do this because they are not being paid and they do not have a contract with us. A volunteer led system has no staff back-up nor can it promise to run a library service. I have had some really bad volunteers that have just been sent to us by a council service or a charity because they feel their perception of a library is softly-safe sanctuary and that they can foist someone on us with vulnerabilities and they will just get on with it. This is also dangerous. If you had a community led library faced with this it would bring all manner of complications and scenarios which I feel that our council have not thought through. Crucial to this of course is the core library offer. We, as residents, have paid the council to provide us with a service which is at the heart of our communities, offers excellent equal opportunities for its residents, is a gateway for outstanding stock, digital resources and a cultural programme which continues throughout the year. This will be denuded in a massive way and the people of Lewisham will suffer as a consequence. The Peripatetic Library Service: With regards to the proposed rolling corps of librarians covering the 12 Lewisham libraries. This proposal seems very basic. How many professional Librarians are left in the library service? How many hours would a Librarian have per site and how will that affect staff levels at their other libraries? How will the timetable work? How is a site to function without a Duty Supervisor or a Site Manager? The less time they have to offer stock, then the stock offer in Lewisham will be dramatically affected. I would imagine that stock budget will be greatly disadvantaged and that community led libraries will suffer. I am not speaking as someone who is reactionary, far from it. I love self-service, I love making efficiencies, I love drumming up more business support because we have to be more community embracing whilst supporting our budgets by being more creative and entrepreneurial. And whilst we are on the subject of spend, my beloved Manor House Library, which earns various revenue streams from the services it provides had close to £4 million invested in this building in recent years. Although on a much smaller scale, this is rather akin to what is happening to Birmingham City Library. 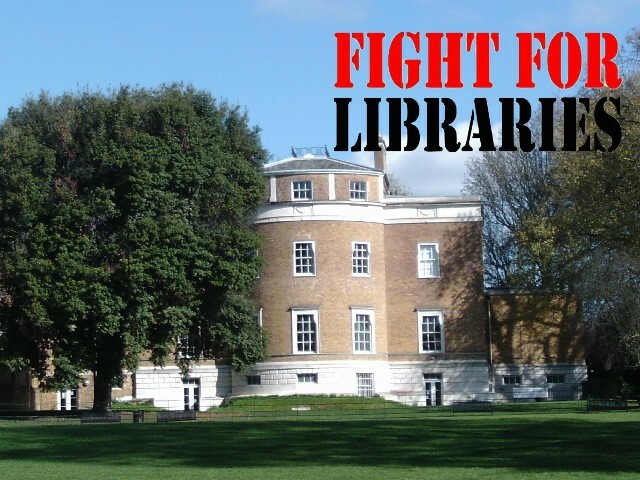 So what I would say to Lewisham Council is: I have lived here for 18 years, I am really proud of my borough but you are proposing to cull our library service – this is deeply damaging, will be felt for years to come and is shameful.